Thats the word from McDonalds, which is set to add to bacon to three of its most-popular menu items. The Big Mac Bacon burger, Quarter Pounder Bacon burger and Cheesy Bacon Fries will debut for a limited time at participating restaurants on Jan. 30. Bacon has long been a favorite delicacy among foodies. According to a news release, the tasty indulgence has been mentioned more than 17,000 times a day across U.S. online platforms since 2018. Thats 740 times an hour. People love bacon, and they love our iconic Big Mac, fresh beef Quarter Pounder burgers and world famous Fries, so we had to see what would happen if we combined all that tastiness, said Chef Michael Haracz, McDonalds Manager of Culinary Innovation. Here is a closer look at what McDonalds customers can expect from the bacon-blasted offerings. 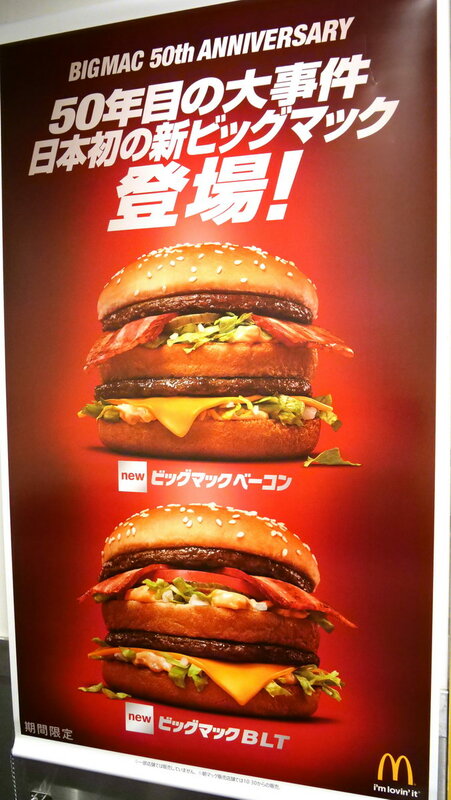 · Big Mac Bacon: A twist on the iconic fan-favorites 50-year history, three pieces of thick cut Applewood smoked bacon adorn two 100% all beef patties, lettuce, cheese, pickles, Special Sauce and onions on a sesame seed bun. · Quarter Pounder Bacon: Three pieces of thick cut Applewood smoked bacon added to the hot and fresh beef burger cooked right when you order. · Cheesy Bacon Fries: McDonalds fries topped with real cheddar cheese sauce and smoked bacon bits. Seems like a no-brainer to me. Hard to imagine die-hard McDonald customers won't like them. They need to put out a “Little Mac” - little “Big Mac” sliders. Man I’d get them a lot. Big Mac’s are too bloated with calories which is why I never get them. Bacon Quarter Pounder with Cheese and Bacon Cheese Fries for me please. Chlesterol city here I come. I felt my heart starting to cavitate just thinking about it. The 50th anniversary of Big Mac makes me feel old. I remember walking a few blocks with my grade school pals to eat one when they first came out. I thought .45 was and outrageous price when a regular hamburger was .18. About a decade behind the pack aren’t they? Never did once did in my life did I factor in calories in what I want to eat. It’s un-American. If it looks awesome to eat, I give my dough. Pretty easy. They should have added steak and eggs in it. The Fail has been strong with McDonalds lately. But this. This ought to work. I would say put bacon on the Mc Ribb. It’s Bacon! What can go wrong with bacon except in the muslim enclaves of northern cities?